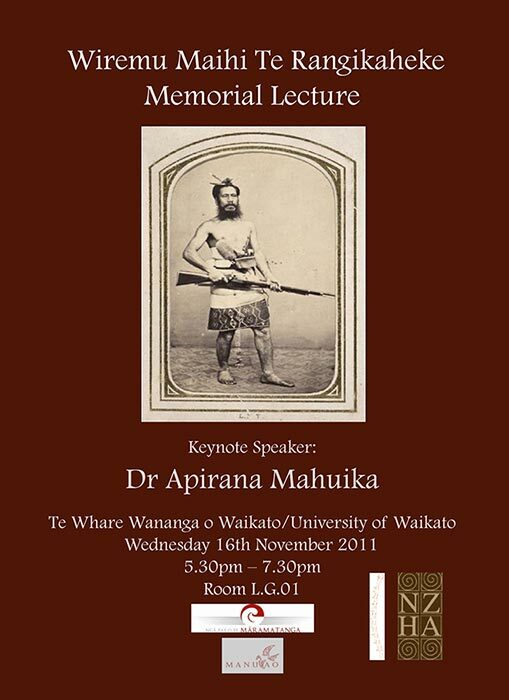 In 2011 the New Zealand Historical Association, which had been established in 1979, instituted a memorial lecture in honour of Wiremu Maihi Te Rangikāheke, who had provided historical guidance for Governor George Grey. This expressed a recognition of the importance of Māori history and Māori historians to the historical profession. The growing numbers of historians with a Māori background was also recognised by the formation in 1992 of Te Pouhere Kōrero, a group for Māori historians, which held regular hui to present the latest research by Māori into Māori history. Other professional historical associations founded in these years included the National Oral History Association of New Zealand (1990) and the Professional Historians' Association of New Zealand/Aotearoa (1994).